Have a great time at this private reserve. Curi Cancha is a protected area covered mostly of secondary and primary forest. Part of the area used to be pastures and is now under recover with native species of the area. Have a great time at this private reserve. Curi Cancha is a protected area covered mostly of secondary and primary forest. Part of the area used to be pastures and is now under recover with native species of the area. Since the area offers different types of forest and fruity trees it offers a wide variety of species of birds such as toucans, quetzals, trogons and depending of the time of the year the cedar waxwing. This is a great opportunity to take good pictures of the wildlife and the forest plus learn about the diversity of the area. What’s Included: A/C round trip transport to and from your hotel in Monteverde, entrance to the reserve, experienced bilingual guide accompanied by a telescope. Extreme Park Swing is for pure adrenaline junkies and adventure enthusiasts. You’ll be fitted with two harnesses and a helmet for extra safety and be attached to a 50 meter long rope. 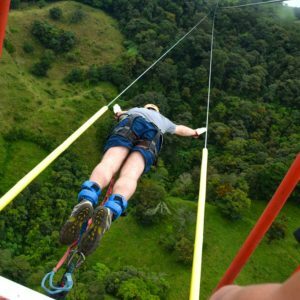 Grab on with both hands and swing like Tarzan above the cloud forest canopy, over 100 meters high! The Wildlife Refuge in Monteverde is a protected area of about 30 hectares of land outside of the Monteverde Cloud Forest. Its location allows for a diverse ecosystem that gives life to a wide variety amount of wildlife. 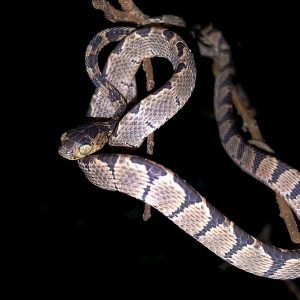 Night hikes are just a great way to see all these animals, nocturnal ones coming slowly to the night life and those going to sleep. 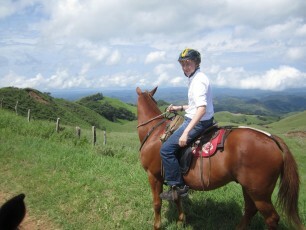 This Monteverde horseback ride is perfect for kids, families, couples and nature lovers! This is one of our favorite Monteverde horse tours because it is suitable for just about all ages. 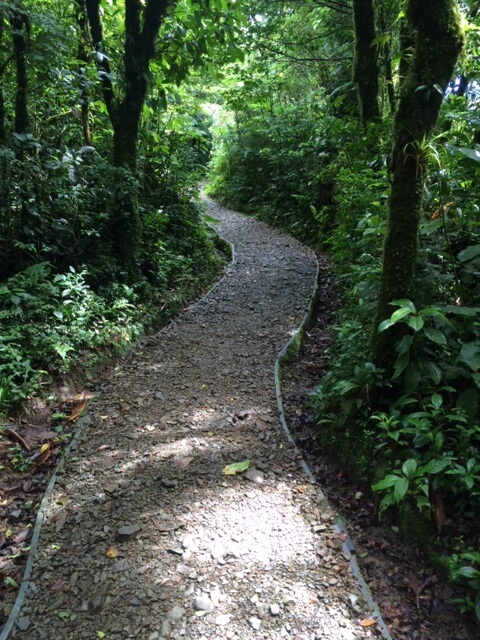 Enjoy a relaxing Monteverde horseback ride through a maintained trails with views to live for! You’ll see different crops growing in the surrounding farmlands, plus the rolling mountains in the background that seem to go on for eons.